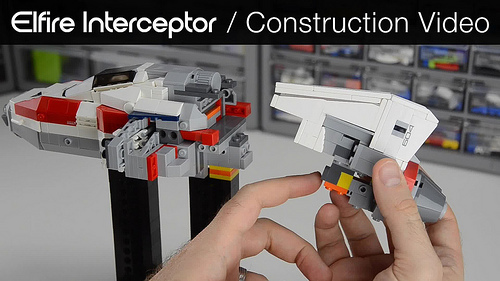 Nick Trotta‘s starfighters are some of the most gorgeous and complex models one can make out of Lego. 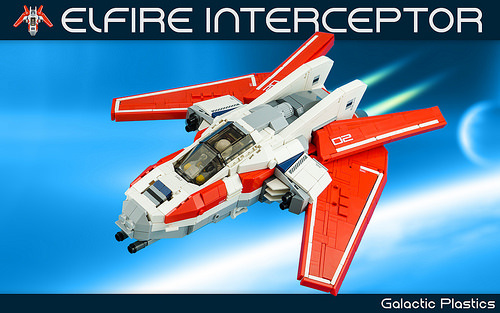 His latest Elfire Interceptor features wings with built-in stripes and a unique windshield design. The clean exterior masks a sophisticated network of bricks that you can only see in the breakdown video below. Visit YouTube for more in-depth commentary on the model.